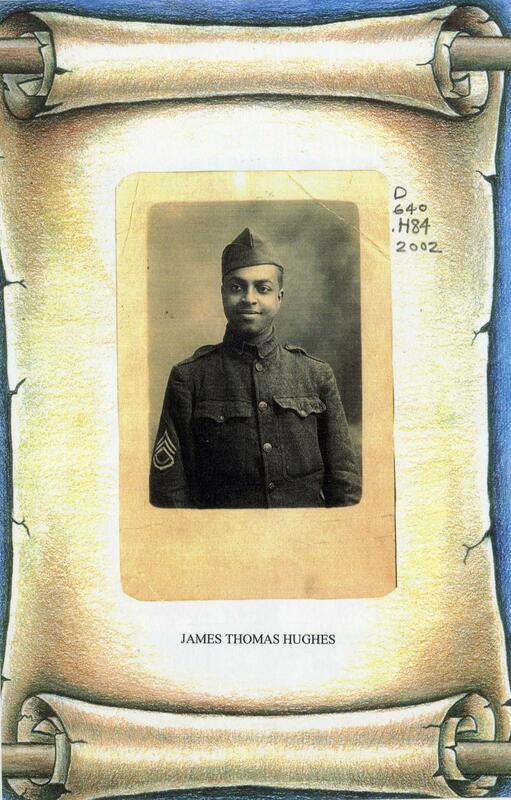 James Thomas Hughes enlisted on August 2nd, 1918 as a Battalion Sergeant Major in the 1st Battalion of the 809th Regiment of the Pioneer Infantry. He sailed to France on September 23rd, 1918 and returned on July 16th, 1919. He received the Bronze Victory Medal on September 16th, 1919. 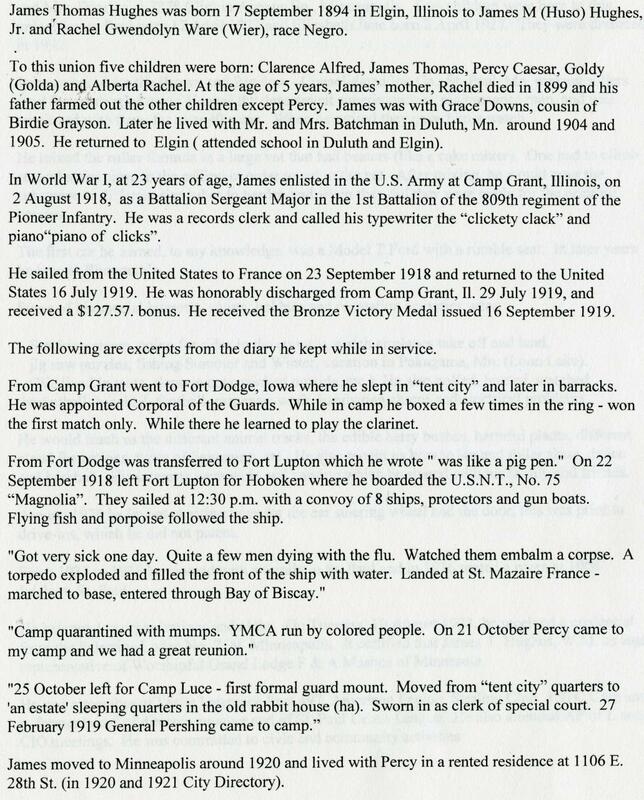 This diary entry is from his from his time spent in camps in the U.S before he sailed to France. 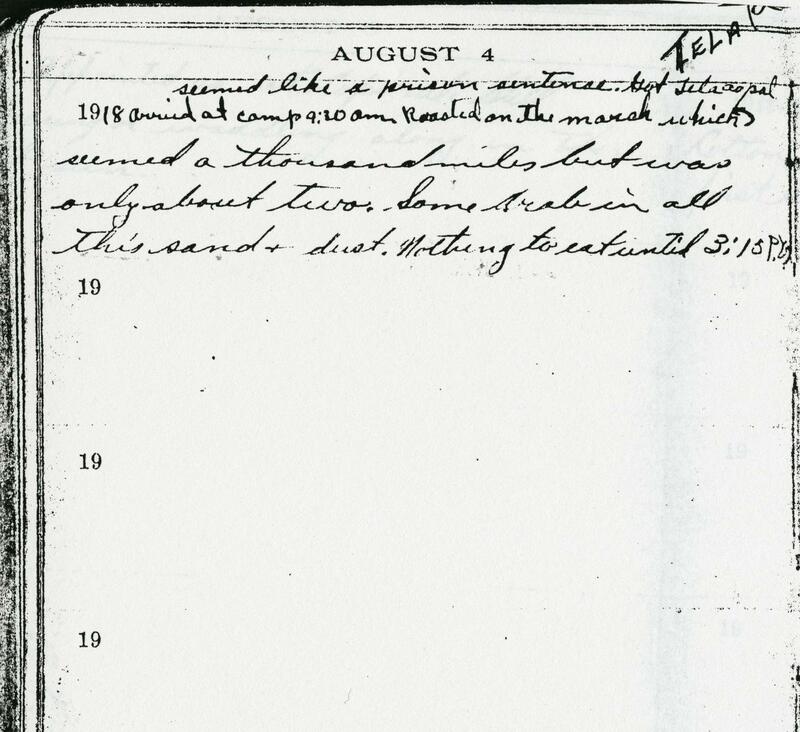 He also mentions his "pal" Tela, likely Tela Burt, whose draft assignment was posted on August 2nd, and who was also a member of the 809th Regiment. August 4th, 1918 Arrived at camp 9:30 am Roasted on the march which seemed like a prison sentence. Got Tela as pal. seemed a thousand miles but was only about two. Some [...rab] in all this sand and dust. Nothing to eat until 3:15 P.M.